Jarinete Santos serves as the Political Pipeline Director for She Should Run. She oversees our programs, reaching thousands of women to improve their leadership potential and inspire them to run for office. She is passionate about normalizing female leadership for the present and for the rising generation. 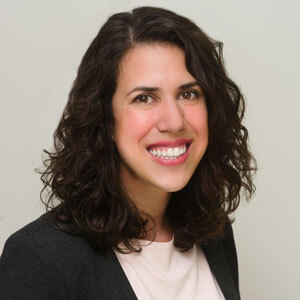 Jarinete joined She Should Run after several years at the Partnership for Public Service, where she led management and facilitation for a series of programs targeted at improving the leadership capabilities of the federal workforce, specifically among the IT community. Additionally, Jarinete has varied experience ranging between community engagement, diversity and inclusion training, and working on Capitol Hill. Jarinete Santos holds a BS in Political Science from Brigham Young University-Idaho and received her MPA from George Mason University. In addition to her work at She Should Run, she is an online adjunct professor for International Relations, a SCUBA diver, an avid traveler, a cat mom, and a very proud aunt.